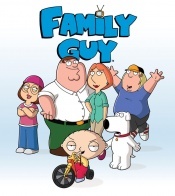 Peter Griffin in Family Guy just loves it when they say the name of the movie in the movie... and so do we! The excellent website TV Tropes calls it a "title drop", and we've cobbled together 100 scenes where the title of the film is mentioned. Family Guy is an American animated sitcom created by Seth MacFarlane for the Fox Broadcasting Company. The series centers on the Griffins, a dysfunctional family.